Engage talent at the perfect moments. 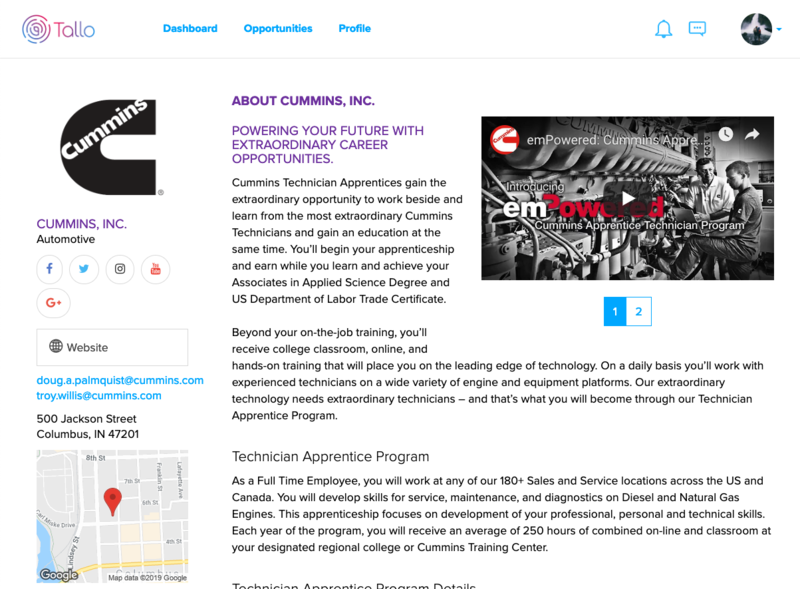 The next generation of your workforce is right here, waiting to hear from you. 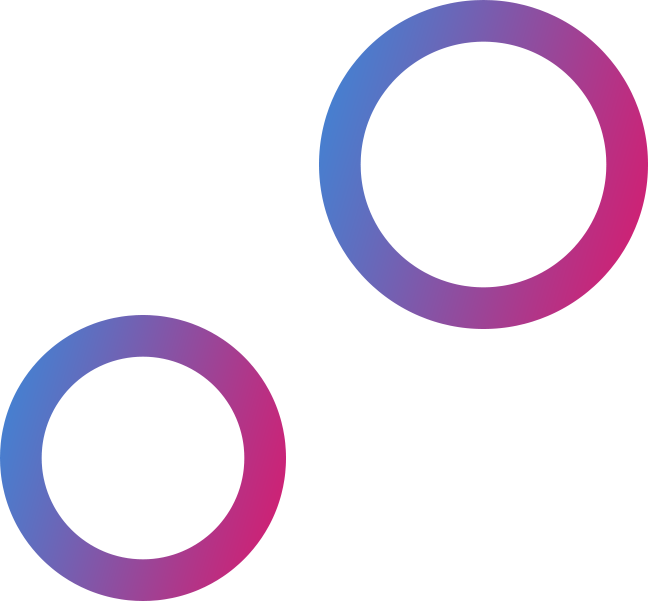 Tallo helps identify talent by what they want to do next, in addition to what they’ve already done. Early recruitment and brand awareness don’t get any better than that. 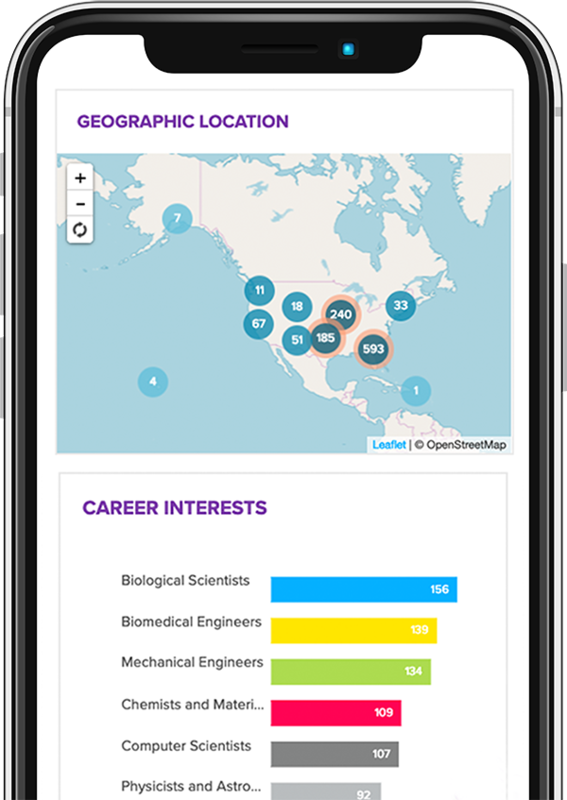 Across all 50 states, more than half a million high school and college students showcase their skills on Tallo. That means you can identify, connect with, and track the qualified talent that fits your short- or long-term recruitment strategies. Don’t call it a CRM. Tallo is not a social networking platform, and it’s not a CRM. 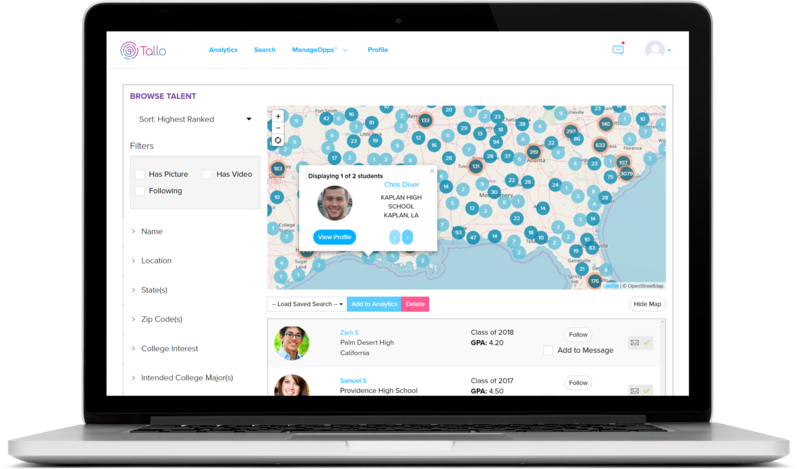 Your Tallo Profile puts your organization in front of the talent you need. Track who checks out your profile and start conversations with the right people. It’s free to get started. Micro-target talent with the criteria you actually care about: career interests, college major interests, demographics, locations, test scores, work experiences, etc. 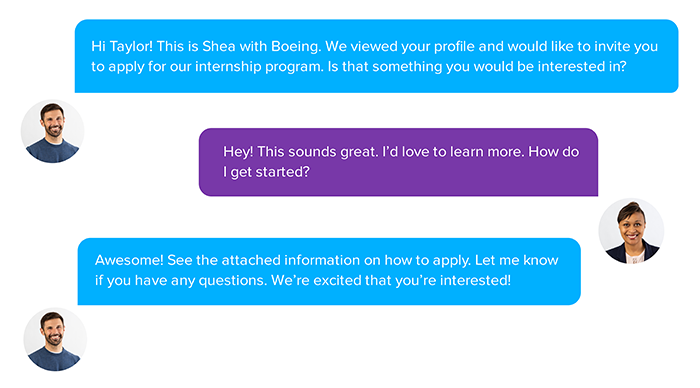 With direct messaging, you can raise early brand awareness and attract qualified students or job candidates in days. When students in your pipeline update their Tallo profiles, we update you. Gain insight into which students fit each piece of your recruitment strategy, and who’s worth pursuing now or saving for later. Your CRM will cry you a river. Tallo Assist. All the results, none of the work. With Tallo Assist, we do the heavy-lifting of identifying and engaging talent for you. We’ll target your ideal candidates, craft messaging, reach out, and send you the results. We’re a go-to resource for hundreds of companies, colleges, and organizations, including a few you may know. Let’s chat through the finer points of recruiting talent on Tallo. Set up a brief discovery call today.